The UK is not one of the most seismically active countries in the world, but it does have a very large history of earthquakes. There appears to be very little risk of such events causing significant damage, the most damage being a few fallen bricks and the moving of furniture. The UK is not located near a plate margin, reducing the effect of a seismic hazard. Many UK earthquakes measure no more than 5.0 ML (Macroseismic Intensity Scale). In the UK the areas which are affected the most by earthquakes are the Scottish Highlands and northwest England, as well as the Welsh Borders. The most active area in the UK is Caernarvon, North Wales. Historically, records of UK earthquakes were limited due to the lack of technology and poor understanding of such events. The first major earthquake recorded in the UK was the 1580 Dover Straits quake, measuring 5¾ ML. 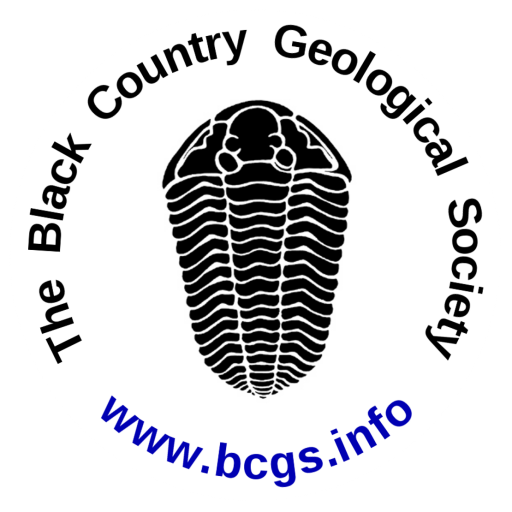 The two largest more recent events are the 2002 Dudley earthquake (4.7 ML) and the 2008 Market Rasen quake. Both of these were felt across a wide area but no major damage occurred. The reasons the UK is subject to these movements are not fully understood but it is primarily due to reactivation of ancient faults formed during the closure of the Iapetus Ocean around 450 million years ago, and the beginning of reactivity since the end of the last ice age around 10,000 years ago. The isostatic rebound of the UK is around 1-2mm per year and accommodated by slippage along the existing faults. Another reason for the seismic activity is due to large scale deformation as a result of the tectonic plates such as the African moving northward into the Eurasian plate; this collision has been occurring since the Cretaceous. The maximum stress is dominantly north-south accounting for much of the seismic activity in southern England, also the Mid-Atlantic Ridge. Usually it is a combination of these which causes the eventual earthquake. The effects of earthquakes abroad are far more serious than those felt here in the UK. At their most extreme, earthquakes in the UK cause moderate shaking which is strong enough to move furniture. Other less significant effects are the fracturing of levees and excessive radon emissions. Due to the few effects, it is difficult to mitigate against the hazards of such events. ‘Mitigation’ is the steps taken to reduce the impact of a given hazard to the people and the environment. The main way to mitigate is to ensure nuclear repositories and major pipe lines are not placed on old faults which may be reactivated during a seismic event. Mitigation of these effects is easy and hazards are decreased by using better engineering methods. 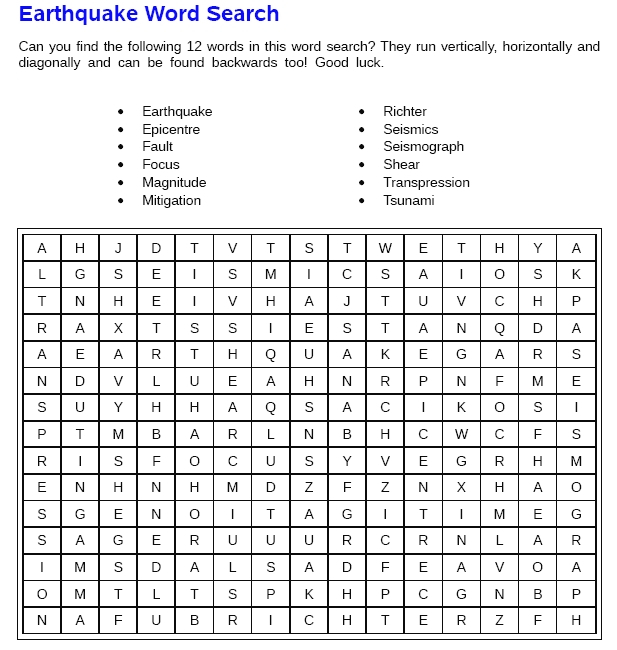 This word search puzzle page has been adapted from an item in Newsletter 193 by Chris Broughton & Alison Roberts.